I was introduced to Himalayan Salt products by a friend a few years ago. She gave me a salt candle holder as a Christmas gift. Instantly, I fell in love with its beauty when I lit a candle in it. I was staring at the soothing amber grow and wondering, is this really salt? And you know what I did after that. No, I couldn’t resist the temptation and Yes, it was salty! When I lit it, I instantly fell in love with the gentle amber grow that Himalayan crystal salt radiates. I naturally kept it close to my desk, where I spend most of my hours working in front of the computer. Back then, I even didn’t know Himalayan salt’s health benefits. 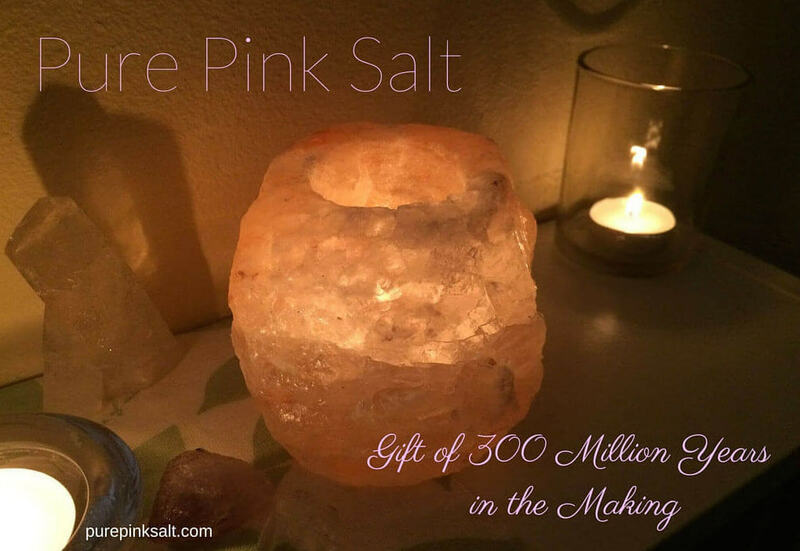 When it’s heated, Himalayan crystal salt emits negative ions and cleanses the indoor air. It can counteract the electronic vibrations and help reduce the harmful impact of blue light caused by electronic devices too. Yes, it works as a natural air purifier! Now I own more than ten candle holders, nine medium-sized lamps, and two gigantic lamps in my house. They did add a soothing atmosphere to my household. Every time I enter a room with 3 to 4 candle holders lit, I can clearly sense that the air is different. It’s cleaner than before. I’ve also noticed that our cats often sit next to the lamps. Animals are more instinctive than us humans, and they may find the air around Himalayan salt lamps comfortable. Now my love for Himalayan pink salt expanded from candle holders and lamps to bath salt, cooking salt and even cooking blocks. My husband especially loves chicken cooked on a Himalayan block. On this website, I share my experiences with Himalayan salt products and provide beneficial information for you. If you are interested in adding this beautiful crystal salt to your home, explore this site to learn about it. I always share my honest reviews. I hope the information I share help you learn about Himalayan salt products and you decide to add this beauty to your life. Thank you for visiting PurePinkSalt.com. My love for Himalayan Salt began a few years ago when I received a candle holder as a Christmas gift. Now I own many candle holders, lamps, cooking salt, cooking board, etc. and literally cannot live without this beautiful pink salt!